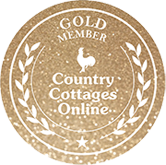 What are the Country Cottages Online Membership Badges? 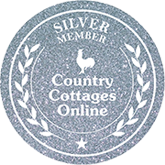 Membership badges on cottage advertisements are to illustrate how long cottage owners or agencies have been listed with Country Cottages Online. 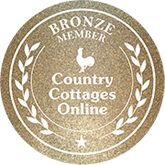 Cottages are given an appropriate badge depending on how long the owner or agency have been listed and featured with us. 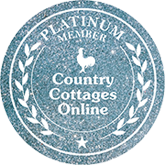 Platinum Level Members: These cottages are those where the owner or agency has been featured with us for more than 8 years. Gold Level Members: These holiday home owners or agencies have been advertising with us for between 4 and 8 years. Silver Level Members: The agencies or owners of these properties have been listed with us for between 2 and 4 years. Bronze level members: These property owners or agencies have been featured with us for between 1 and 2 years. 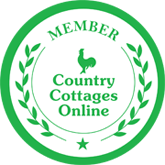 Standard Green badge: These holiday home owners and agencies are relatively new to the site and have usually been featured for less than 1 year. These badges are not endorsements or guarantees - they are to inform holidaymakers as to how long a holiday property has been listed with us. If you are a holidaymaker and have feedback about any of the properties listed on our sites please use our feedback form to get in touch.